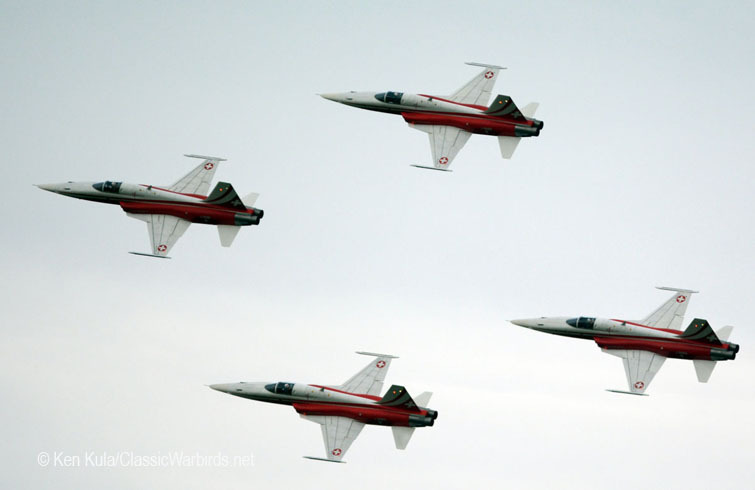 The Second Republic of Poland was founded in 1918, after the end of the First World War. 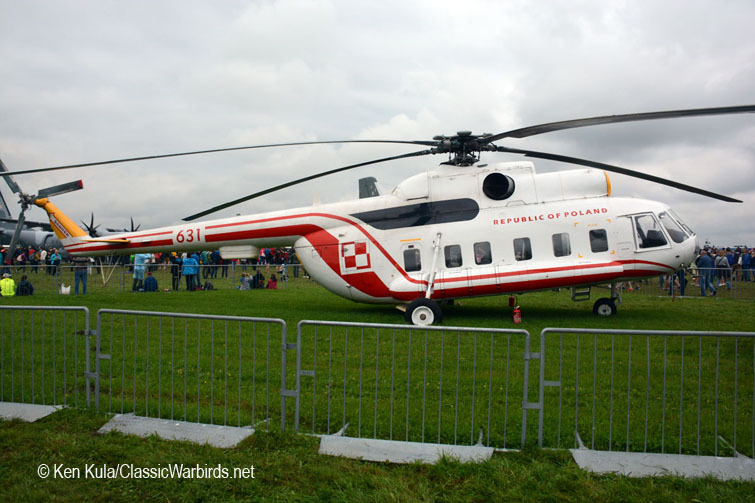 Except for the few years’ interruption during the Second World War, the Republic of Poland has since stood sovereign, though with different forms of government over the decades. 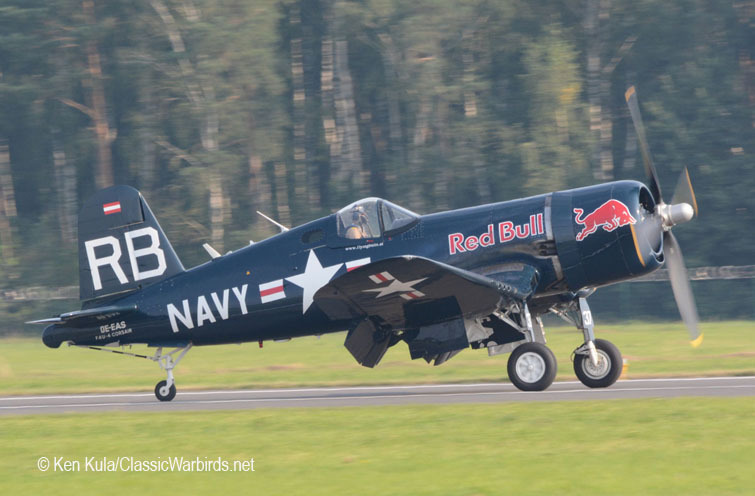 That makes 2018 the 100th anniversary of this Republic’s founding, and cause for celebrations. 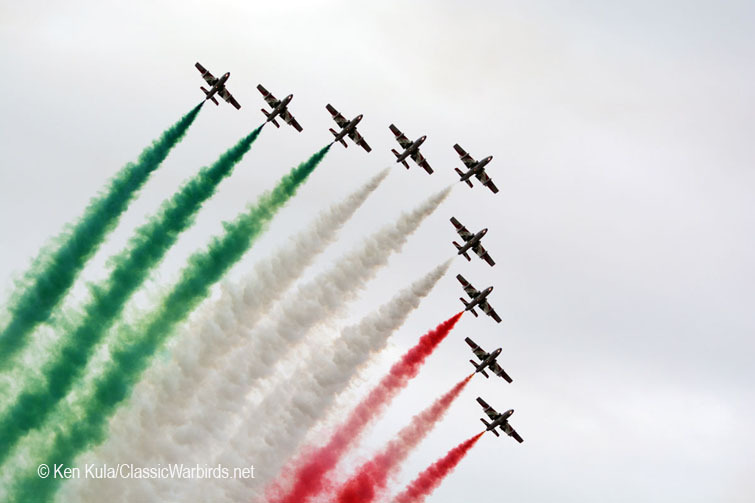 As the Republic was formed, so was its Air Force too, and aviation presented a grand birthday party with plenty of hometown flying, plus heavy foreign participation in a salute to a century of service. 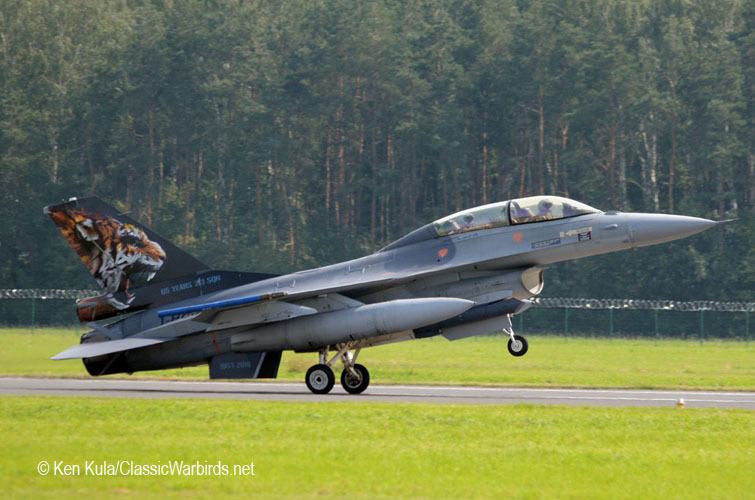 The military airfield in Radom, Poland – almost 100 kilometers south of Warsaw, was the venue for this two day event. 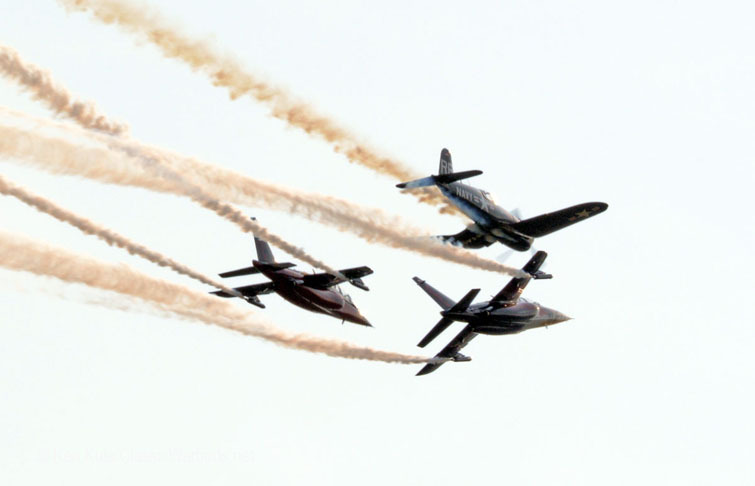 The Radom-Sadkow airport is a training base for the most part, but recently has become the home to a biennial air show that attracts dozens of military aircraft from Europe and beyond. 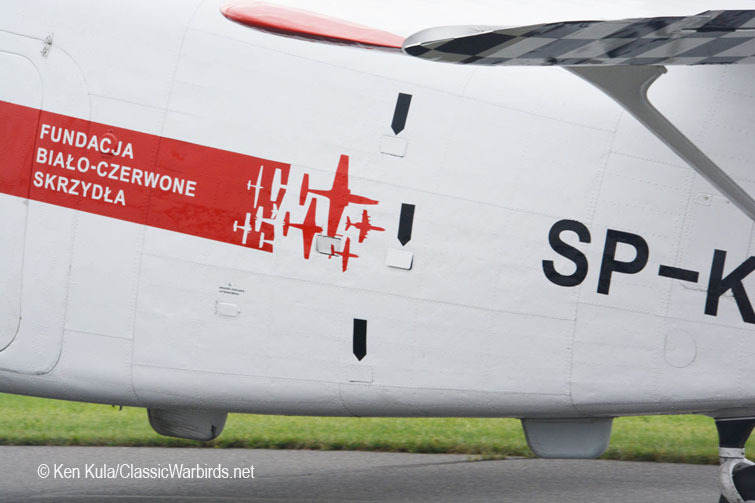 Normally held during odd years, the anniversary celebration warrented the rare even-year’s presentation. 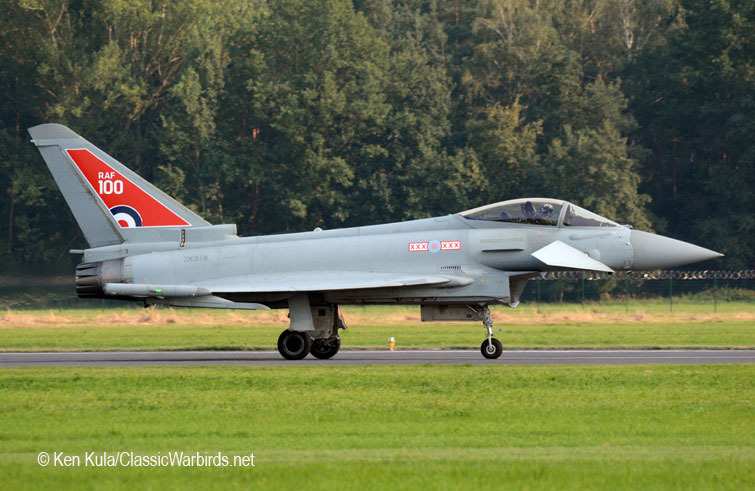 Ten hours of non-stop flying activity was planned for each day, stretching from 9:00AM through 7:00PM. 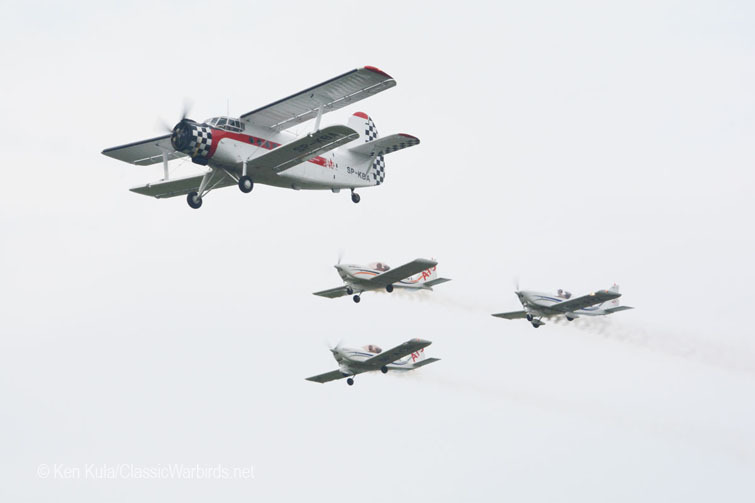 Unfortunately, weather conditions rained on this parade and some scheduled flying was curtailed, but the majority of the planned pageantry alighted. 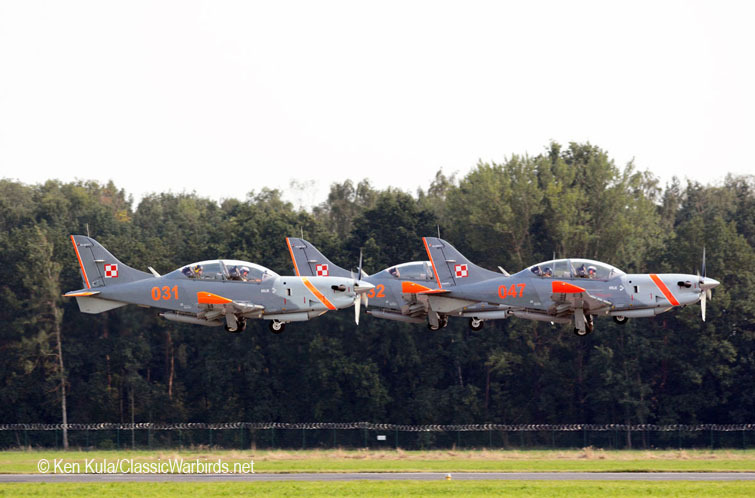 Here are some of the highlights of the event in Poland, plus a bit of history and current affairs of the Polish Air Force… I was able to observe the practice shows on Friday (in fine weather) and during Saturday’s rain shower-effected display. 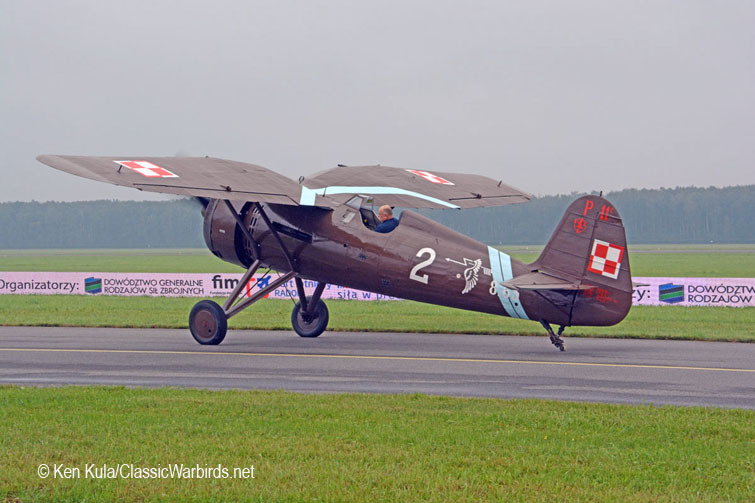 A Very Brief History When the Republic of Poland gained its independence at the end of World War I, mainly German-designed aircraft were operated after being abandoned in the lands that made up Poland. 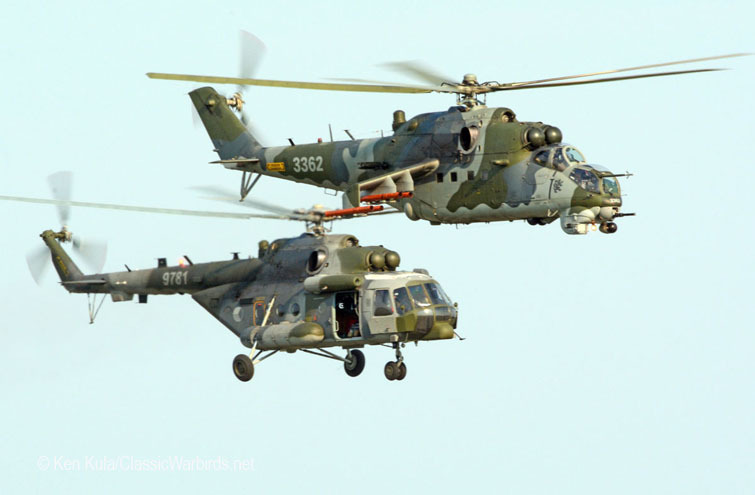 Conflicts with Ukraine and Russia followed immediately after the end of the Great War; history notes that the first combat sortie of the new Air Force occurred on November 5, 1918 – two days after the Austro-Hungarian Armistice was agreed upon and before the official end of World War I. 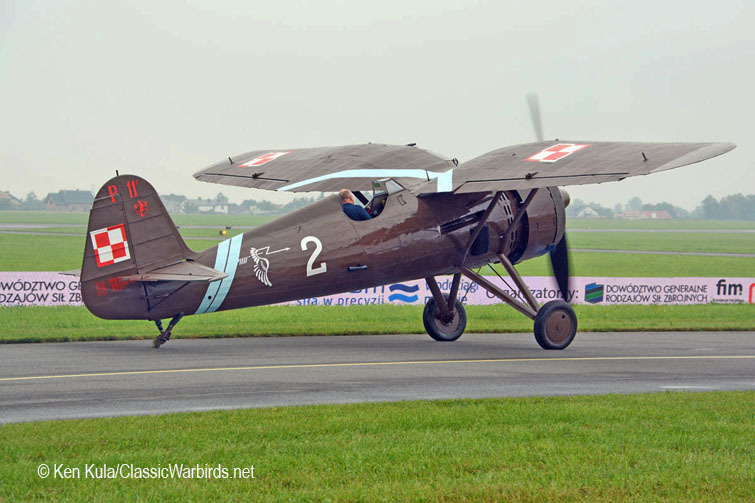 A bit later, during the early 1920s German, French and British models of fighting and scouting aircraft were employed. 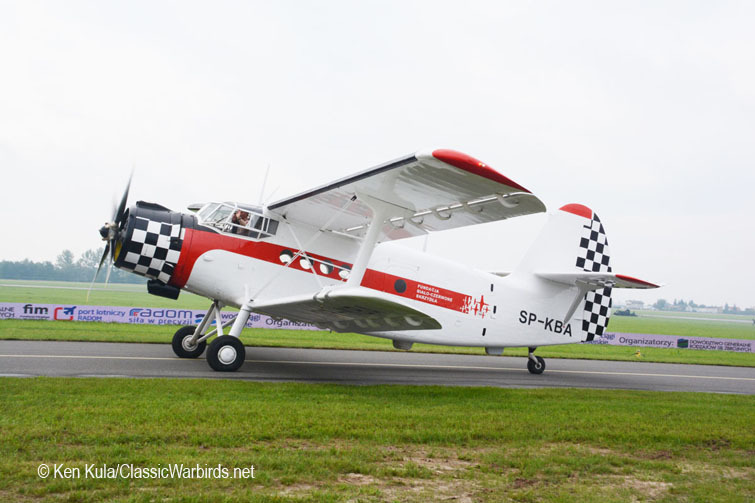 French-built aircraft were the choice during the decade between the mid-1920s through the mid-1930s, after which Poland’s aeronautical design and manufacturing industries began to produce their own Air Force aircraft. 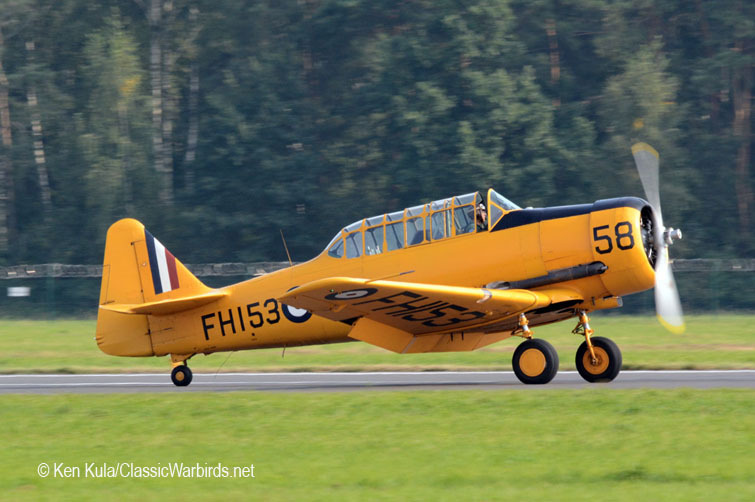 Fighters such as the Pulawski PZL P.7 and P.11 were operational by 1935, but they and most of the other aircraft in the Air Force were outmoded when Germany invaded their country in 1939. 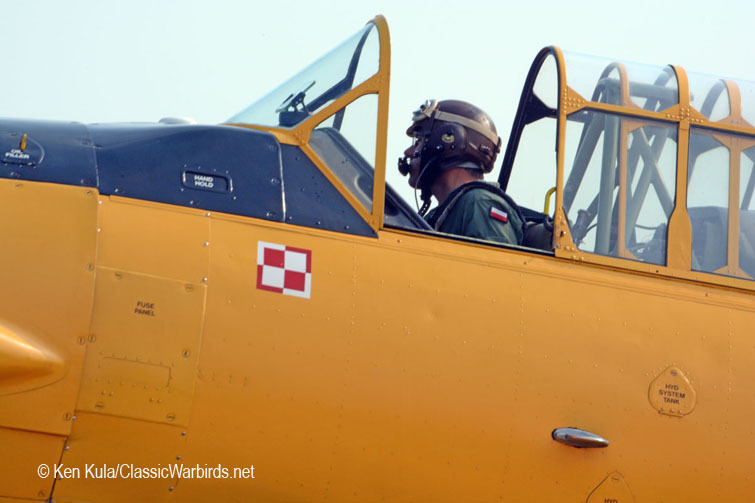 Still, the Poles shot down an estimated 150 German raiders before being overwhelmed, many pilots and air crew escaped, and arrived in France to fight until that country too was enveloped by the German advances. 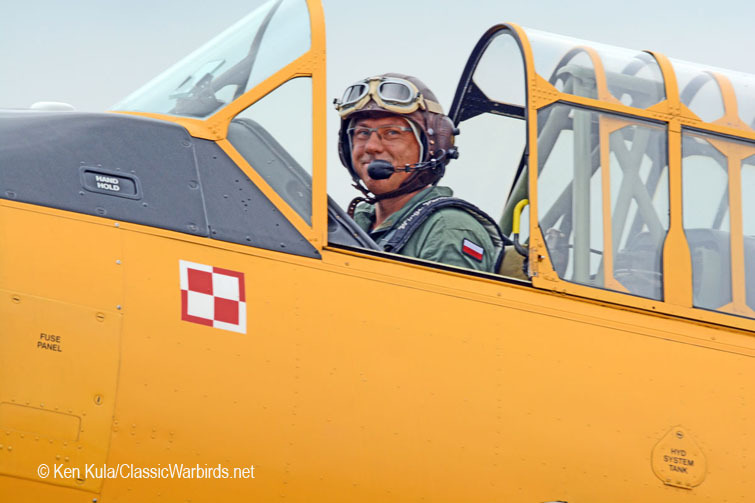 At least five fully Polish combat squadrons were operational in Britain’s Royal Air Force in World War II, including the heralded 303 Squadron, whose fighters fought during the Battle of Britain. 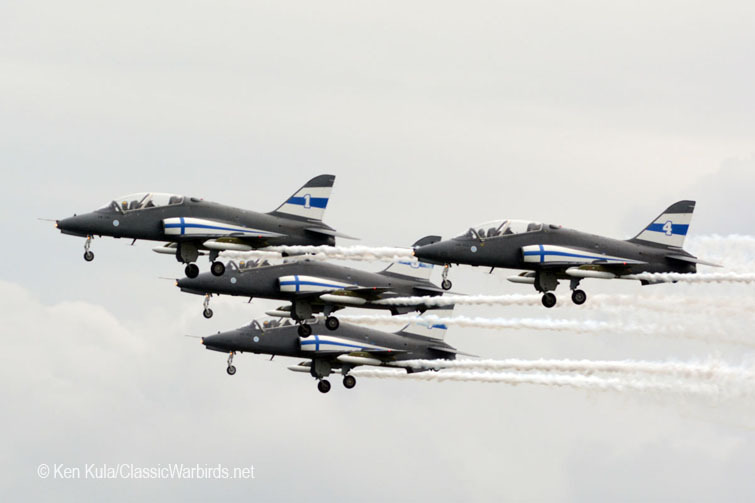 After the war, Poland became part of the Soviet Union, and operated Russian-designed aircraft, although the design and production capabilities of Poland’s aviation sector produced some home-grown designs like the TS-11 Iskra jet trainer. 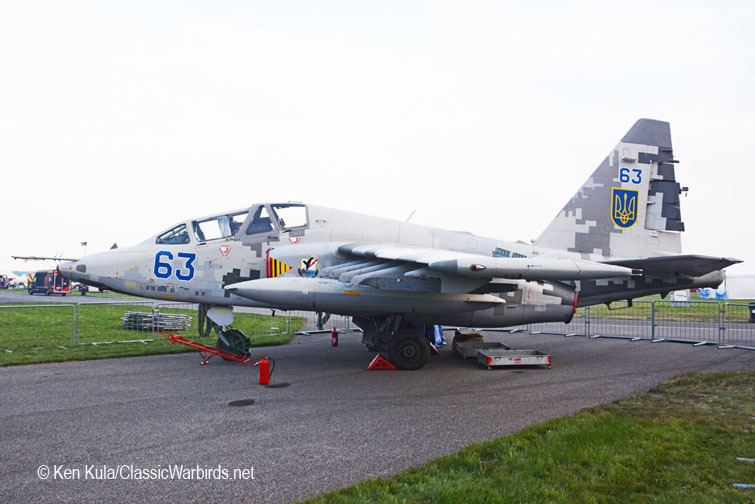 MiG fighters were produced under license and known with the designation as “Lim” aircraft: a Lim-6 is the Polish equivalent of the MiG-17. 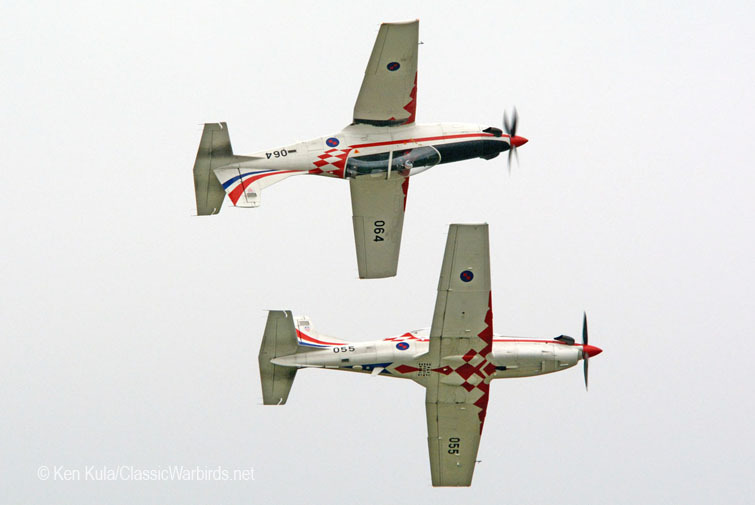 The PZL-130 Orlik turboprop trainer is another example of a locally-developed and produced military aircraft. 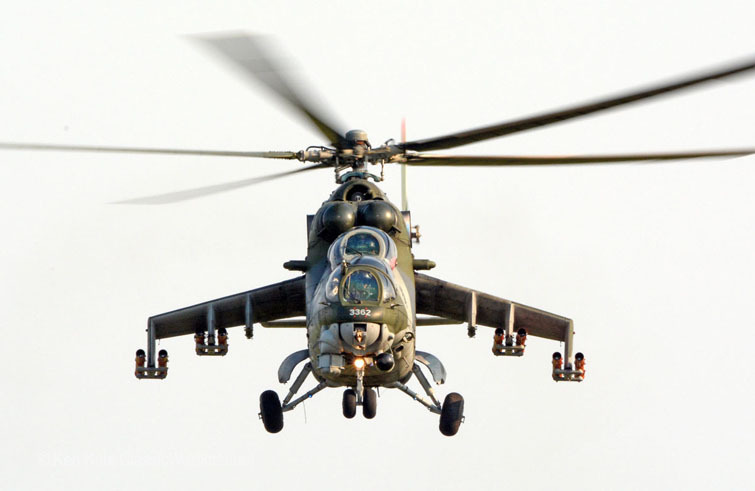 By 1991, the Third Polish Republic had been born out of the transition to democracy, and soon thereafter Poland would become a NATO member. 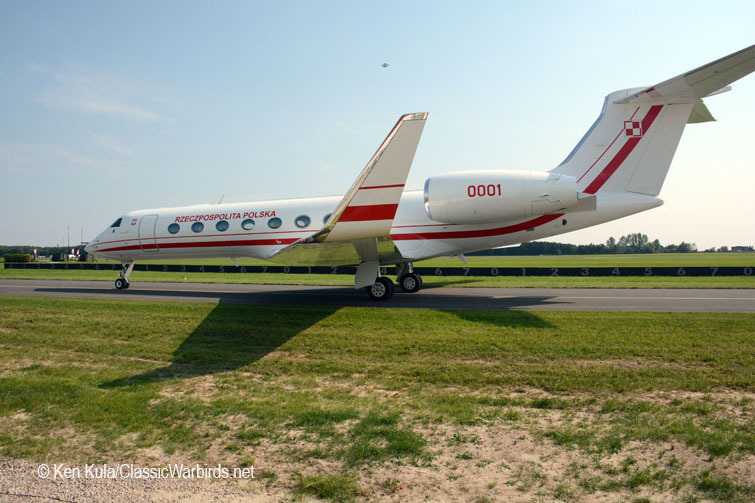 Today, this transition to “Western” and NATO aircraft sees Lockheed Martin F-16s and C-130s in the Air Force, as well as VIP versions of the Gulfstream V and Boeing BBJ. 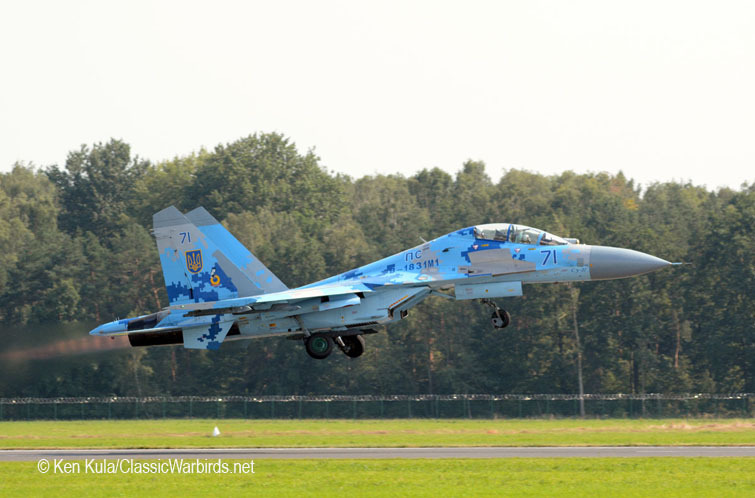 MiG-29, Su-22 and various helicopters are still in operation from the USSR period of alignment too. 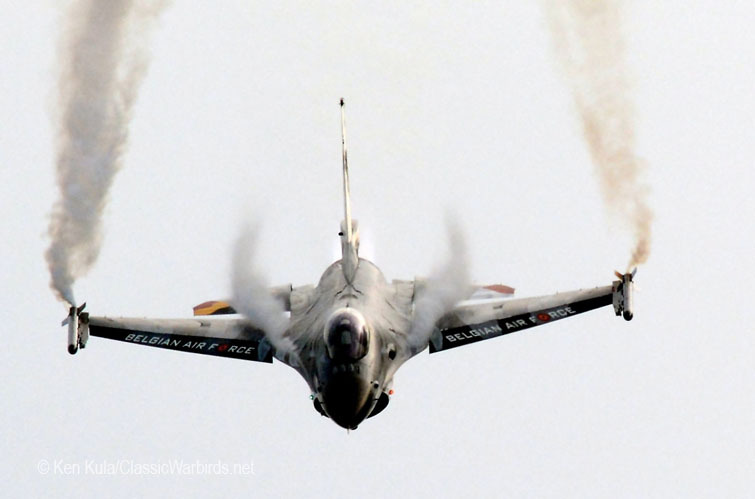 Interestingly enough, the newest jet trainer in the Polish forces is the Alenia Aermacchi M-346 Master, produced in Italy but developed originally as the Russian designed Yak-130. 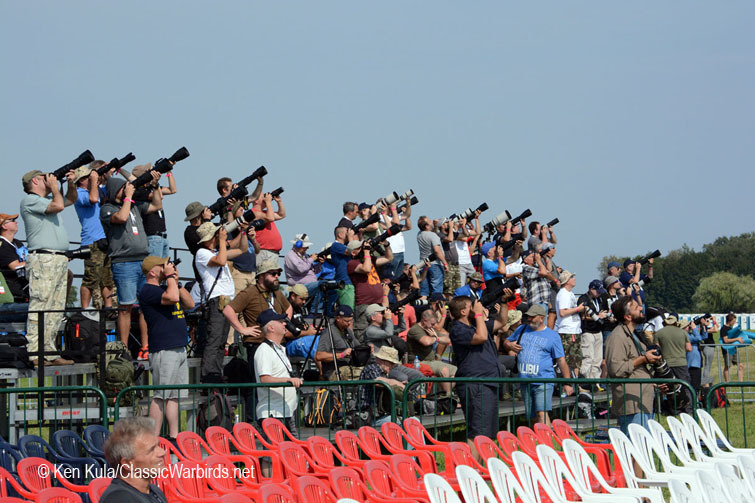 The Air Show Military and civilian aerobatic teams flocked to the venue… military flight demo teams included the Switzerland’s Patrouille Suisse (F-5 fighters), Italy’s Frecci Tricolori (MB-339 trainers), Finland’s Midnight Hawks (Hawk trainers), Spain’s Patrulla Aguilla (CASA 101 jet trainers), Croatia’s Wings of Storm (PC-9 trainers), plus Poland’s Orlik Aerobatic Team (PZL-130 Orlik turboprop trainers) and Team Iskry (TS-11 jet trainers). 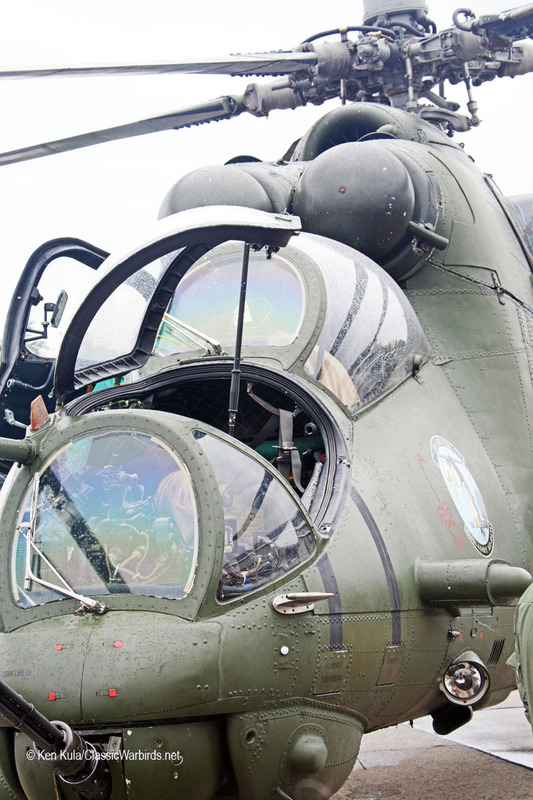 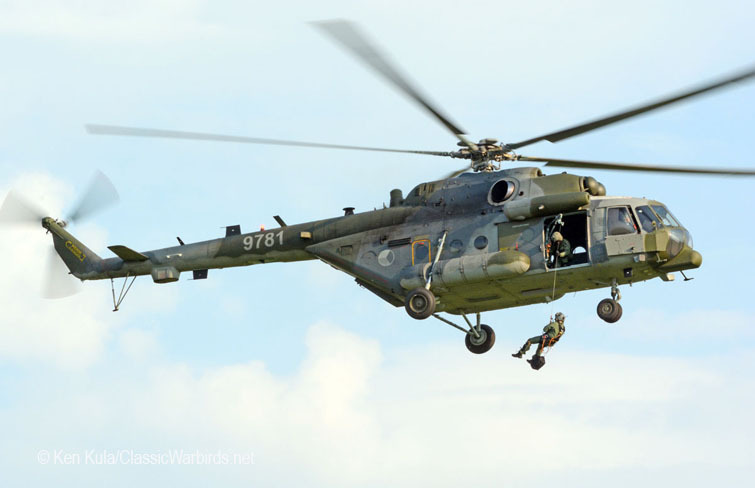 A pair of Czech Air Force helicopters – a Mi-35 and a Mi-171 joined to present an interesting Combat Search and Rescue demonstration (the Mi-35 would do double duty with an aerobatic display all of its own too). 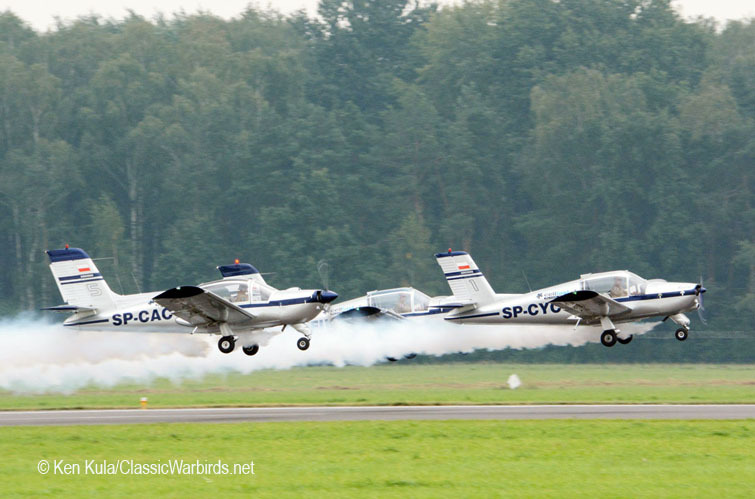 Civil teams included Jordan’s Royal Jordanian Falcons (Extra 330 aerobatic planes), the Latvian Baltic Bees civil jet team (L-39 Albatross trainers), the Cellfast Flying Team with a trio of SOCATA Rallye prop planes, plus a trio of locally designed AT-3 sport planes led by an Antonov AN-2 biplane. 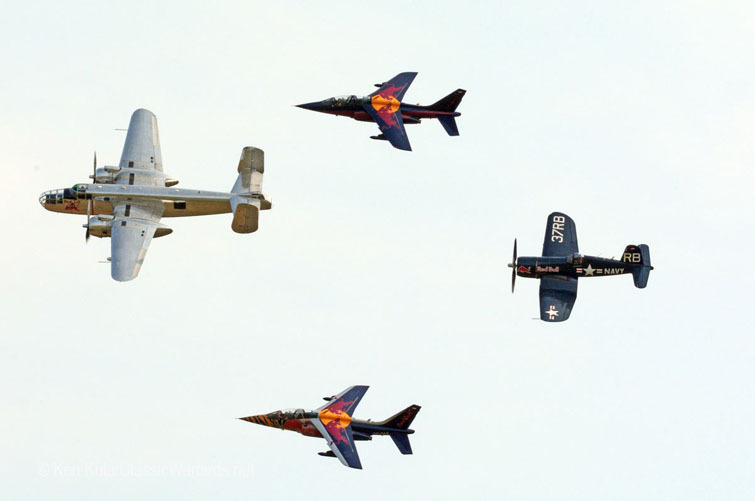 The Flying Bulls – the Red Bull warbird formation - contained an F-4U-4 Corsair, a pair of Dornier/ Alphajets and a North American B-25 polished bright silver, along with a solo T-28 trainer. 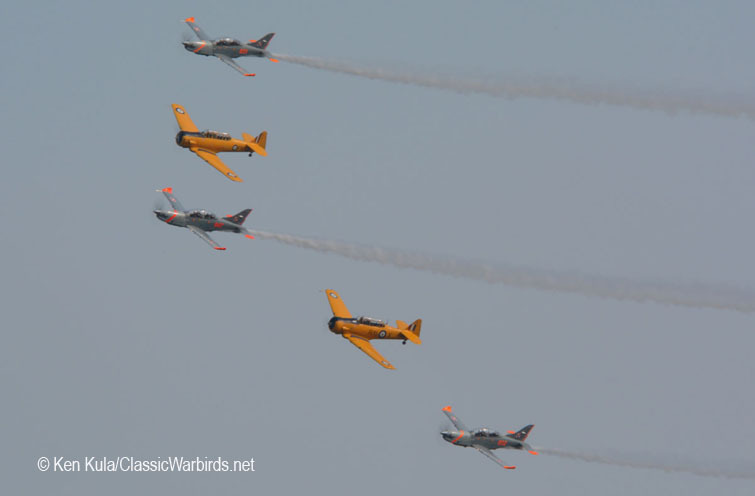 A five-ship formation made up of a pair of civilian-operated World War II-era North American Harvards and three Polish Air Force PZL-130s presented a formation routine too. 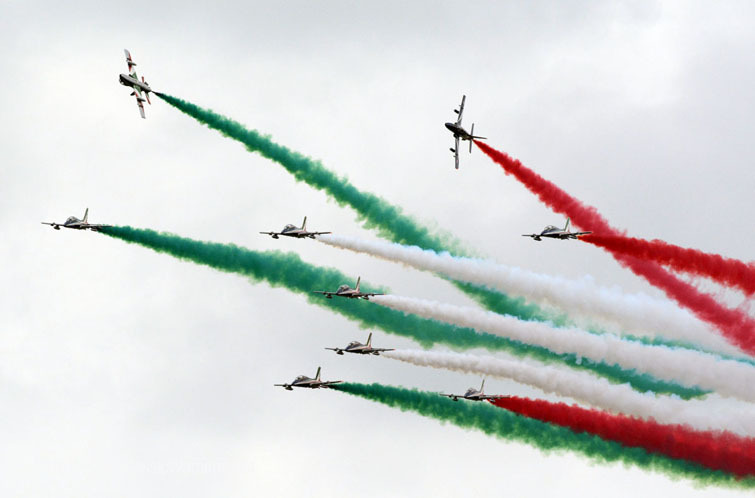 Solo performers included the Red Bull Bo-105 helicopter, an Austrian Air Force Saab 105 jet trainer, a trio of foreign F-16 fighter solo demo teams (Belgium, Greece and Turkey), a Ukrainian Air Force SU-27 fighter, a Czech Air Force JAS-39 Gripen fighter, two Eurofighter demos (RAF and Germany), a privately operated TS-11 Iskra, Artur Kielak in his XA-41 acrobatic plane, and a Pakistani JF-17 jet fighter. 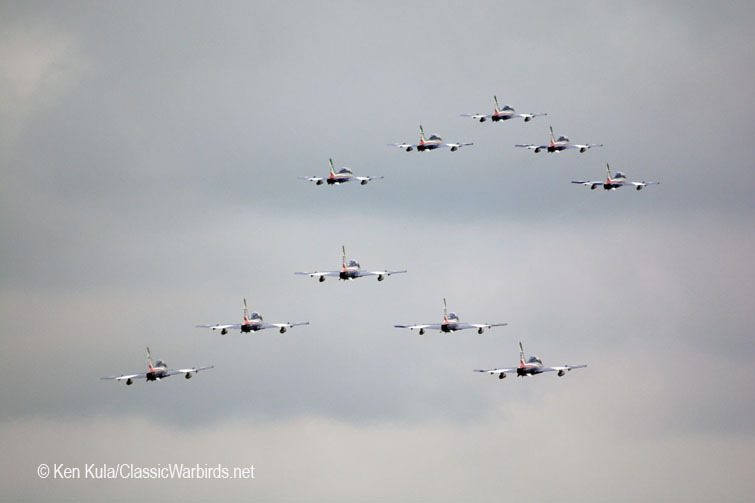 There were a handful of flypasts, including a quartet of new M-346 jet trainers, a NATO E-3A AWACS, and a special tribute to the 100th anniversary – a new LOT Airlines Boeing 737-8 MAX airliner leading the six TS-11 Iskrys; the Boeing returned to make a second pass waving its wings as it passed by. 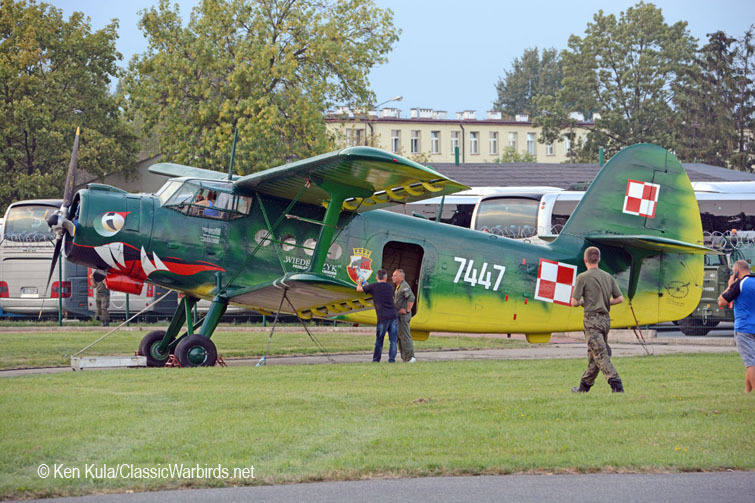 While not on the flying display, the world’s only surviving PZL P.11c fighter – which was part of Poland’s Air Force before World War II, was displayed… its engine started and a short taxi of the aircraft to reposition it for an official ceremony was a highlight of the day on Saturday. 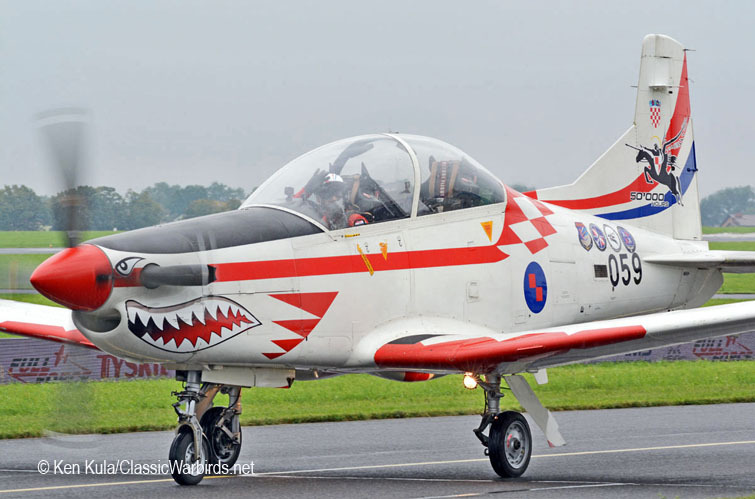 Another rarity for Poland, a Pakistani Air Force Super Mushshak trainer was displayed on the grounds, it is a primary piston-powered trainer indigenously produced in that Asian country. 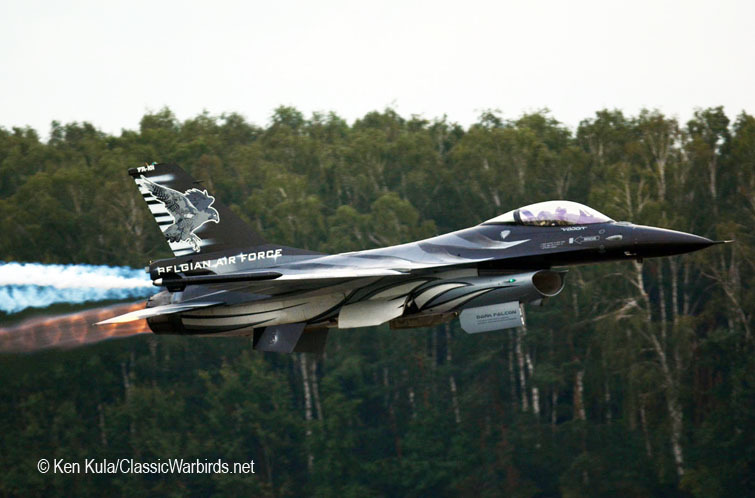 Lockheed Martin was heavily represented during the show, The Polish Air Force operates the F-16C/D Block 50 series Fighting Falcon as a jet fighter and interceptor; a mockup of the new Block 70 F-16 was displayed. 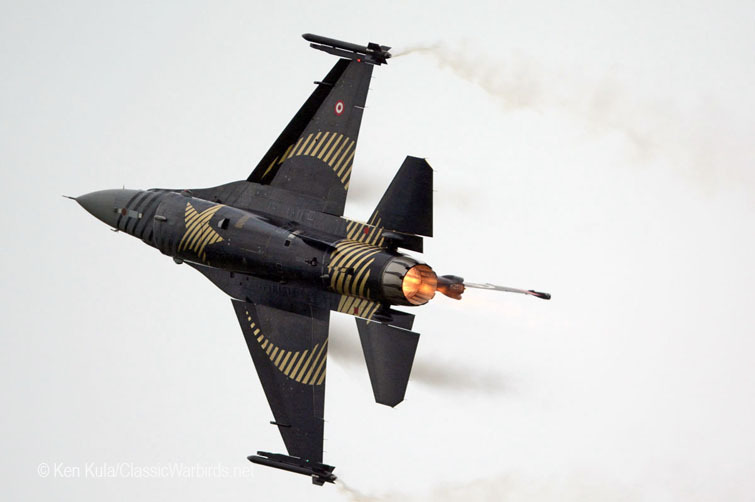 The new version will carry a longer airframe life expectancy when compared to the recent Block 50/52 jets, plus avionics improvement such as an AESA radar and an auto GCAS (Ground Collision Avoidance System) for avoiding flight into terrain accidents. 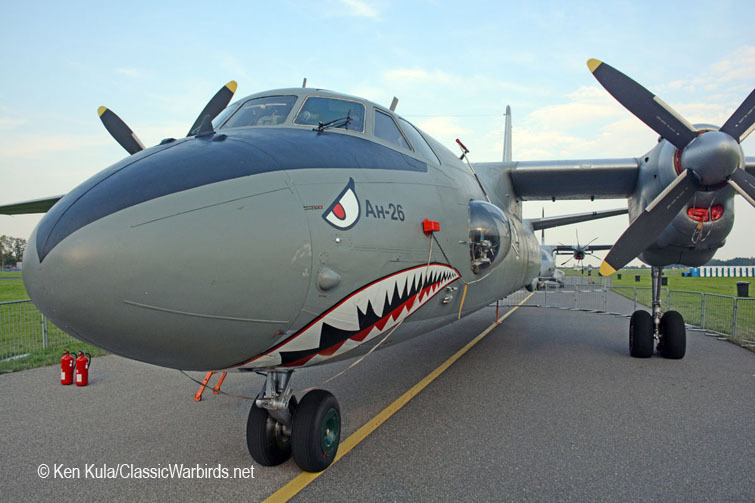 Poland also operates five C-130E Hercules transports which were retired from USAF service and immediately put through a Service Life Extension Program - in essence, an overhaul of the entire aircraft – before delivery to the Polish Air Force. 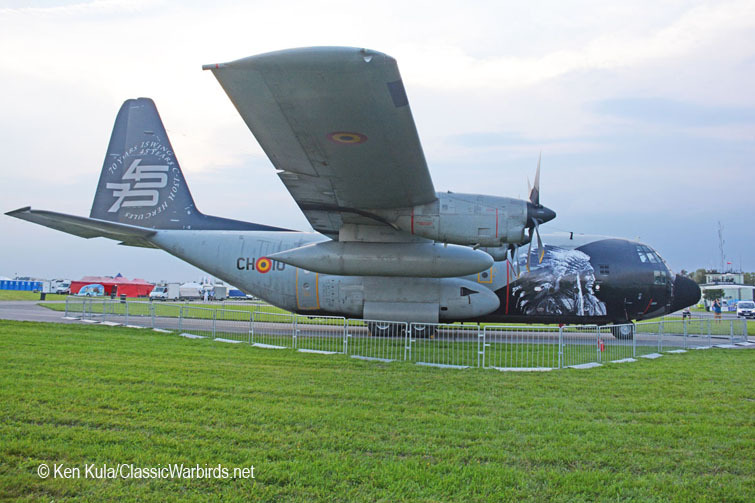 Although not ordered yet, Lockheed Martin hopes that Poland will order C-130J/J-30 Super Hercules too, as their experience with the – E version was described as favorable by a company representative. 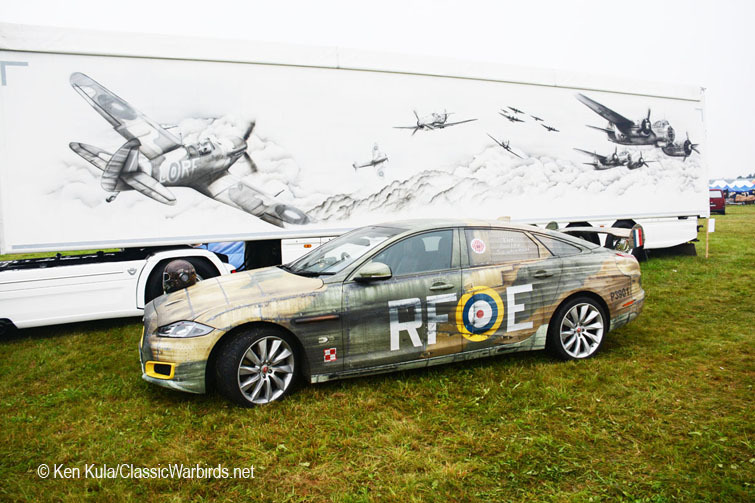 The static display held about two dozen aircraft ranging from military trainers to transports to fighters and helicopters too. 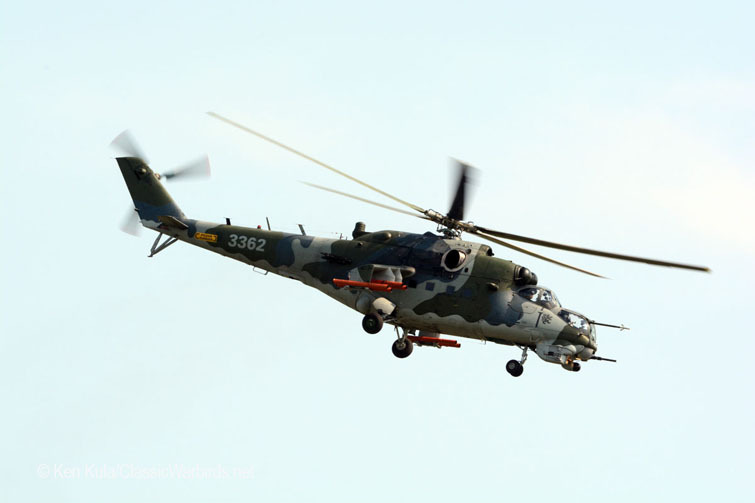 Three VIP aircraft of the Polish Air Force, a Gulfstream V, a PZL W-3 and Mi-8 were displayed, and indigenously produced aircraft such as the M-28 light transport, W-3 helicopter and TS-11 Iskra were part of the static group too. 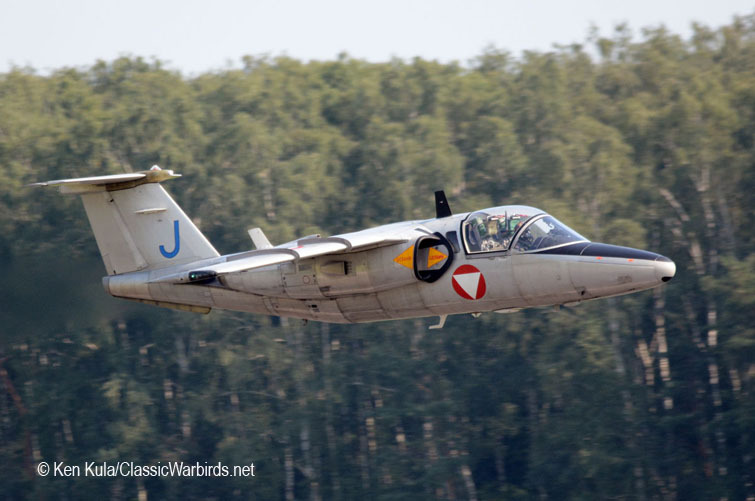 C-27Js from Lithuania and Romania joined a Hungarian An-26 and an American Wyoming Air National Guard C-130H as transports on display. 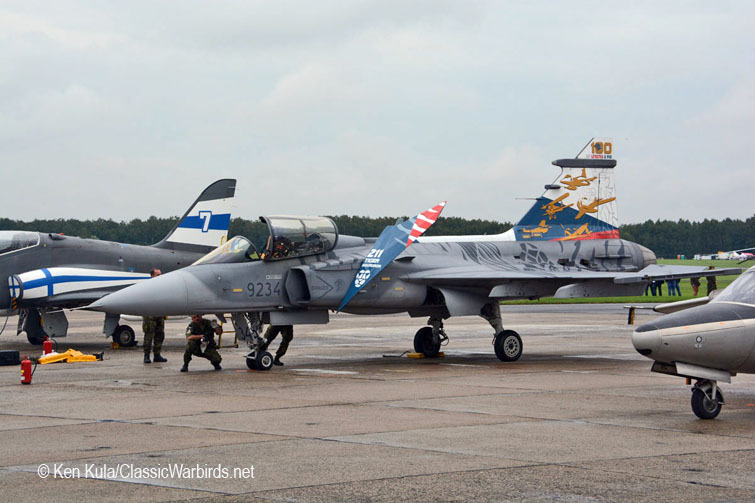 Fighter-bombers included a Ukrainian Su-25UB trainer and a Polish F-16, plus a brightly colored German Eurofighter too. 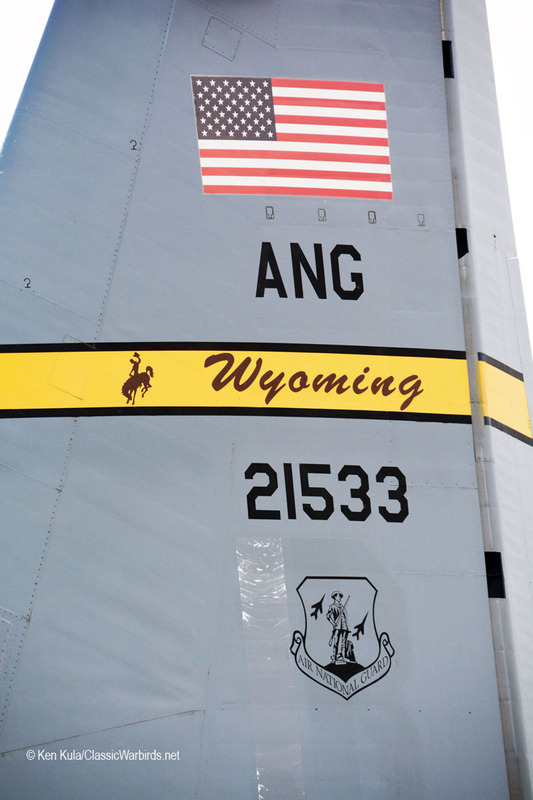 The Wyoming ANG C-130 had an interesting tale to tell, being a long way from home. 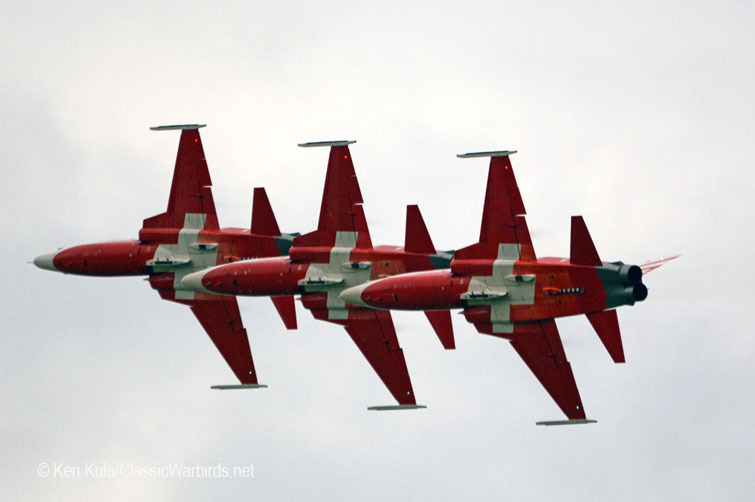 At the U.S.’s only participant in the show, the transport and its crew, along with a Connecticut ANG C-130, were in Europe on temporary duty at Ramstein AFB serving in an aeromedical role. 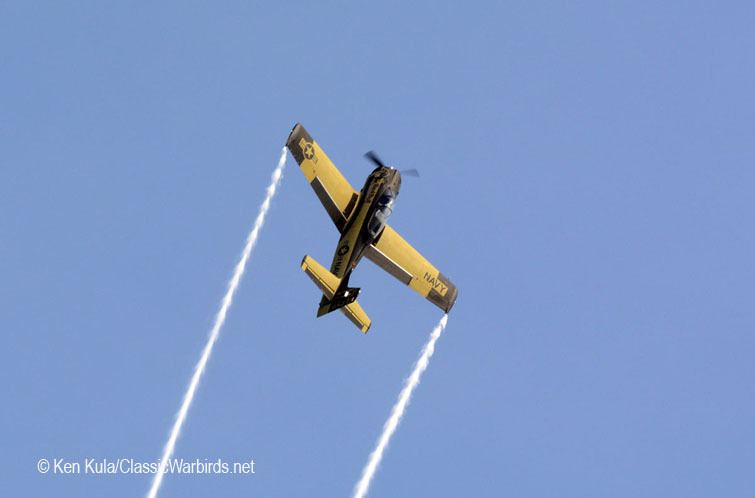 When the crew saw the schedule of duties it would undertake during their month-long European deployment, sure enough, there was an air show weekend on their schedule! 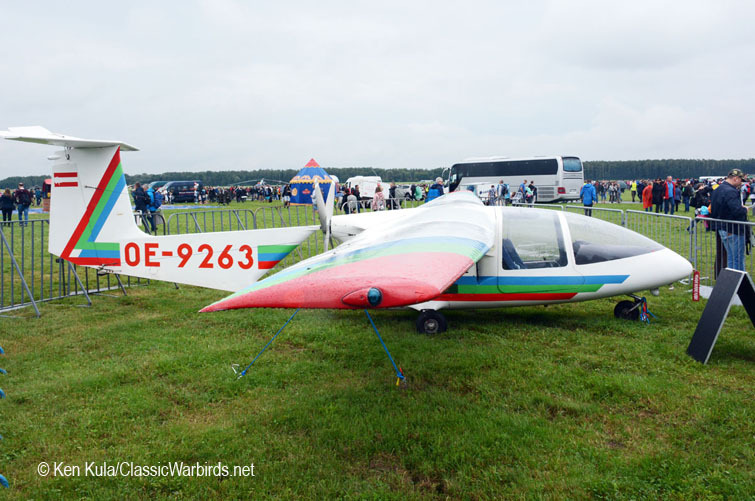 A small collection of civil aircraft were presented, from light aircraft and helicopters to balloons. 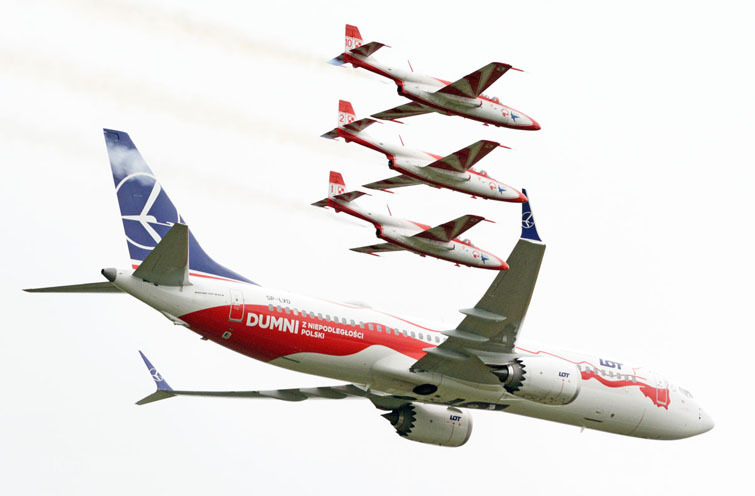 Manufacturers were present too, showing off aircraft; museums presented information about their collections, and LOT – the Polish national airline, offered a look into flying and ground-based employment opportunities. 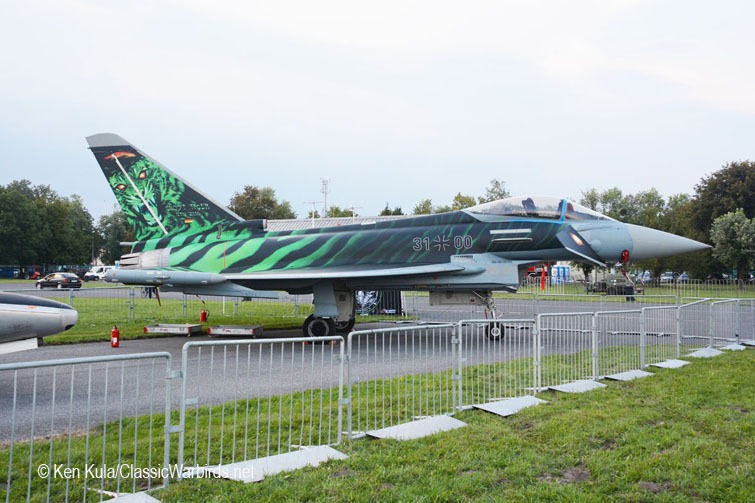 There were many military aircraft with special color schemes on their airframes, ranging from the Royal Air Force’s own 100th Anniversary scheme on their Typhoon fighter, to the aforementioned German Eurofighter in “Ghost Tiger” colors. 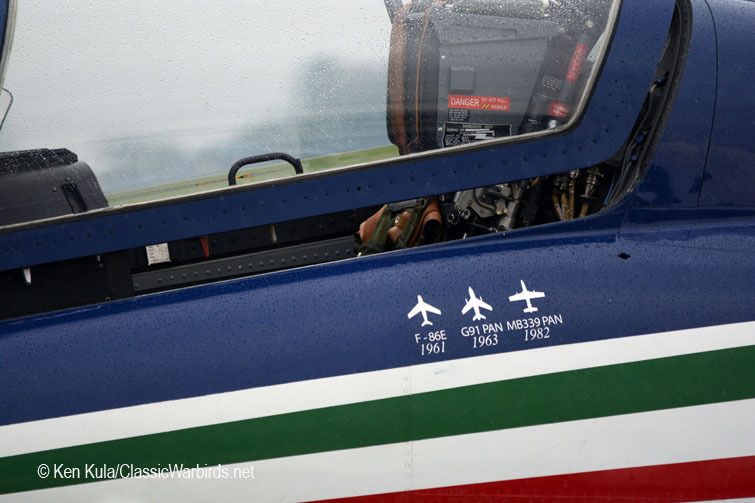 The Czech Air Force’s Gripen had their own colorful 100th anniversary scheme on their tail too, and the Italian Frecce Tricolori jets displayed small decals of the three aircraft types the team has flown since their formation in 1961. 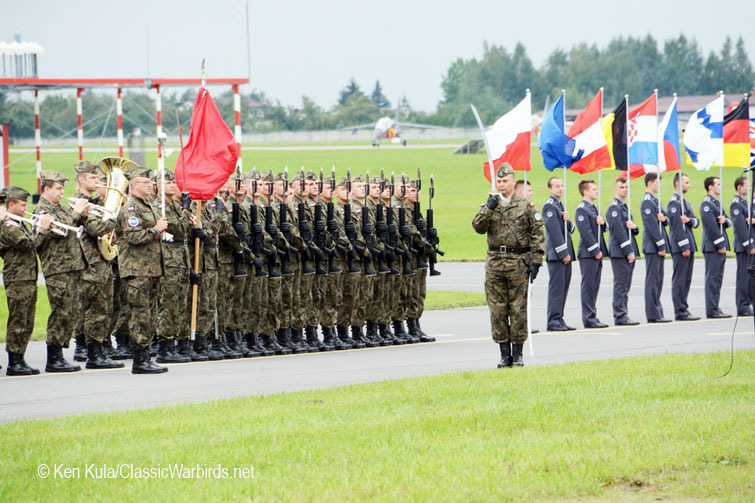 An opening ceremony was held to commemorate the anniversary, complete with band and honor guard. 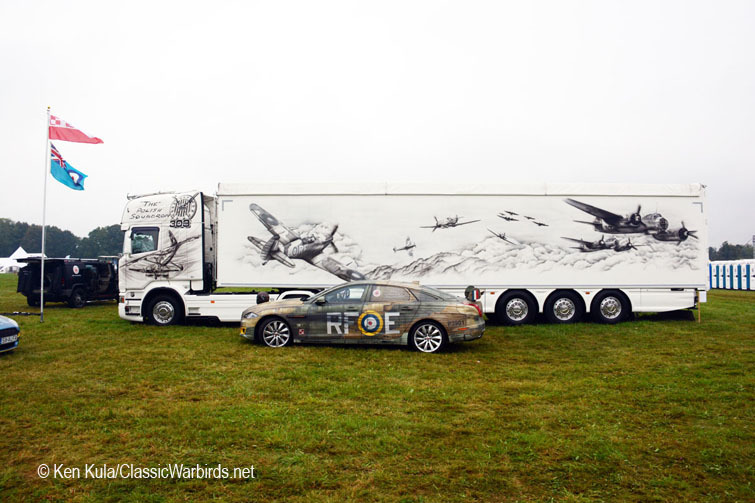 Flypasts took part during this presentation, although low cloud ceilings forced the cancellation of a parachute group. 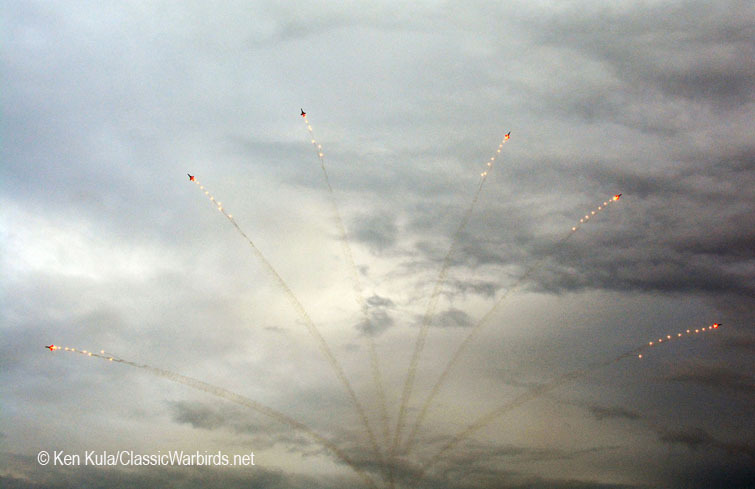 Later, rain and mist stopped the show for about an hour and a half, which allowed spectators to check out the static aircraft and have a meal from the many food stands on the infield. 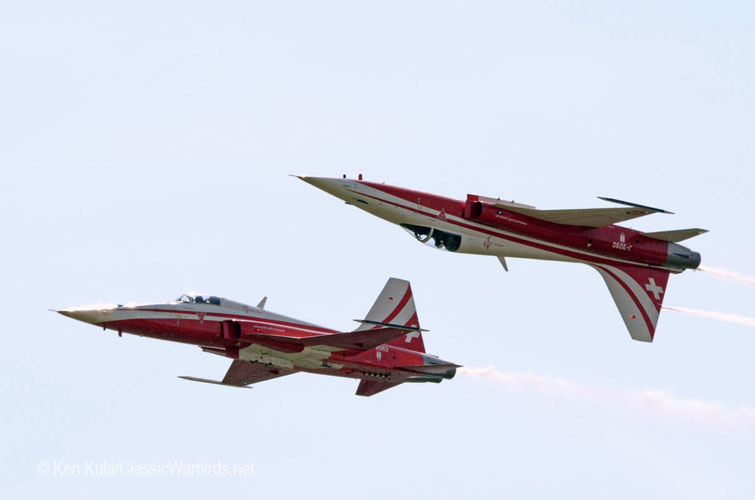 This was not as much a demonstration of the Polish Air Force’s capabilities or equipment (although it was a good opportunity to see them) as much as it was a birthday celebration… and many of Poland’s neighbors were invited and took part in this important day’s aerial festivities. 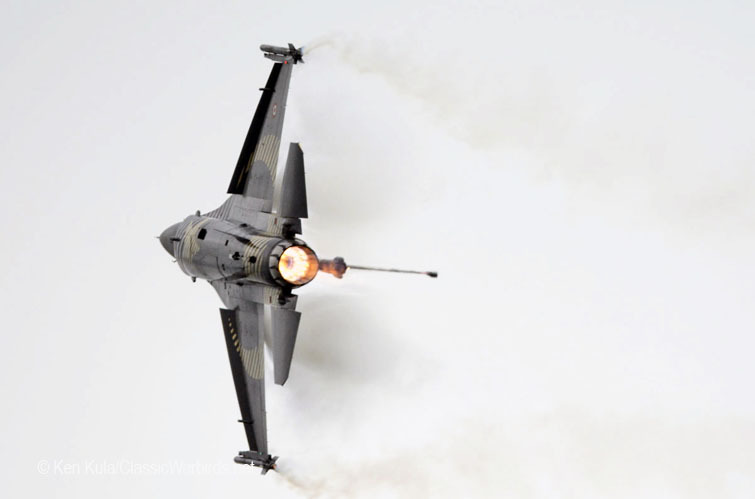 The Air Force’s century of service is something to be proud of, and was feted accordingly.